Our factory is in Orange City and off exit 111B from I4. We have sales assistance on hand and the public is welcome. We manufacture all our sheds here and ship them throughout the state to other display lots. Connie Sibila handles major accounts as well as assists walk in customers. Connie is a New Yorker (Brooklyn) that moved to Florida in 1991 and has been with Superior Sheds for 15 years! Connie is energetic and customer service oriented plus has never met a stranger! She knows our products and can help you narrow down your choice! Come by and see how the best sheds in Florida are BUILT! Whatever your needs are in a Shed – simple storage, large unique configuration, standard aluminum, hip roof, She Sheds or Man Caves – One shed or 50 – Connie can help you through it and make sure you have a happy and well informed buying experience. We don’t need a big display – we just make it for you! Factory Direct and Made in Florida for Florida weather. Need a Carport or Steel Building – we also have displays and feature Carolina Carports, Central Florida Steel Buildings, and Orlando Steel – a price and product for any need. Gazebo on your wish list? We have them and can have it built to your needs. *Shed Sales & Delivery plus Carports & Steel Buildings servicing Deltona, Orange City, Debary, Sanford, Lake Helen, Deland, Osteen, De Leon Springs. Astor, Samsula, Paisley, Altoona, Baberville, Lake County, Volusia County and All the Surrounding Areas. 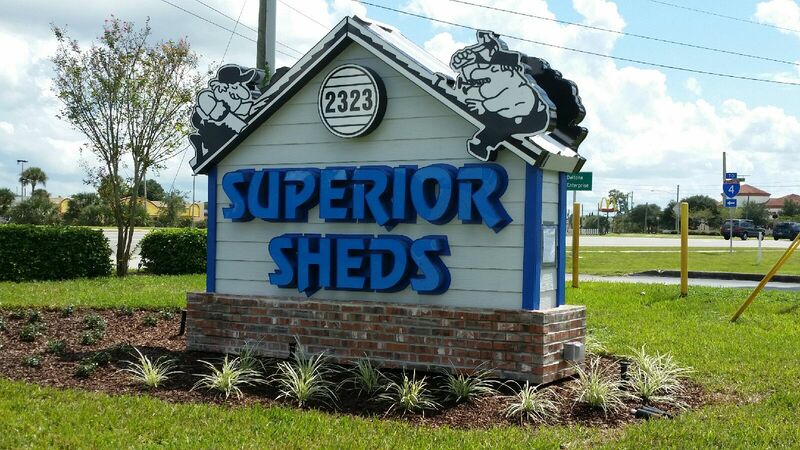 West Volusia Shed Manufacturing Center – The Superior Sheds Factory – is the Number 1 Shed builder in Florida!